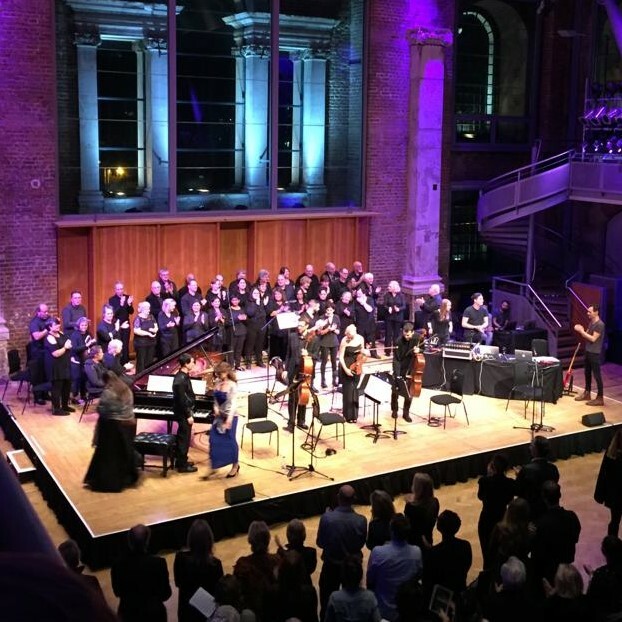 'Hhumann X' is a composition for small chamber ensemble, electronics, two voices and choir that premiered at LSO St. Luke's on 20th of October 2018. The composition was inspired by the findings of the Jo Cox Commission on Loneliness published in December 2014 that stated that in the UK over 9 million adults often or always feel lonely. The piece is an exploration of social isolation in an era of technological hyper-connectedness and its premiere featured More Than Just a Choir, a community choir based in North London that works with people suffering from mental illness and social isolation. Aenean eu justo sed elit dignissim aliquam. Sed a ligula quis sapien lacinia egestas. Phasellus sodales massa malesuada tellus fringilla, nec bibendum tellus blandit. Vestibulum ante ipsum primis in faucibus orci luctus et ultrices posuere cubilia Curae.